Perfect for writing notes or journaling on the go! 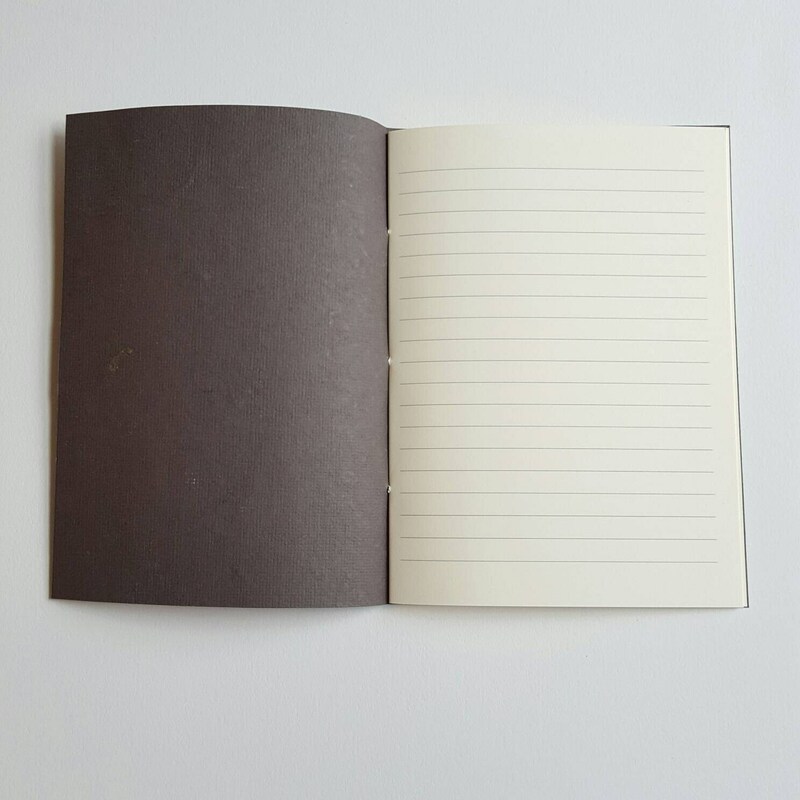 This paperback notebook has 32 lined ivory pages to capture all of your thoughts and ideas. 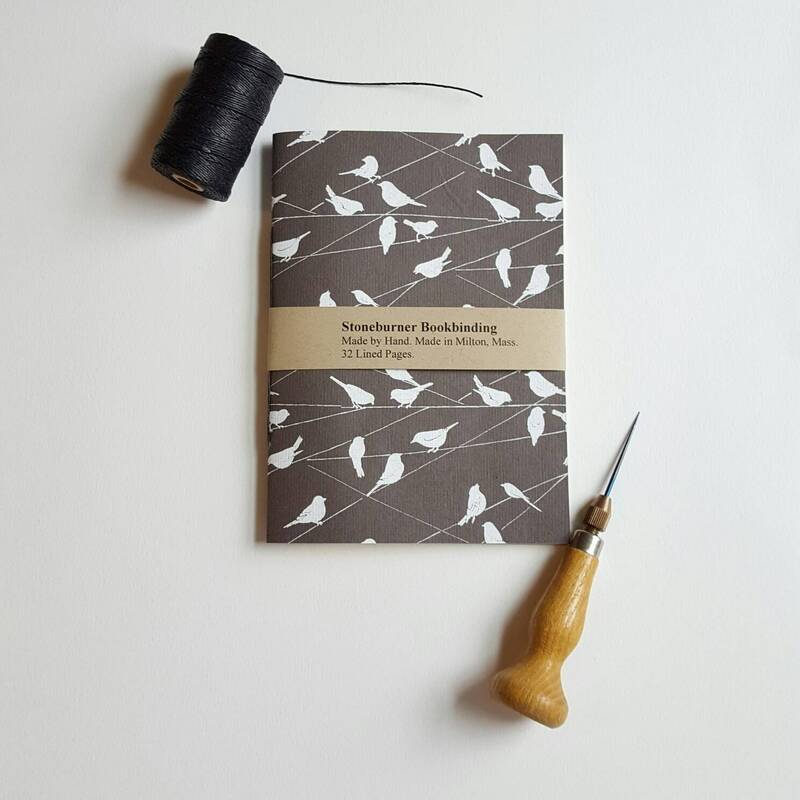 The covers are made from super soft Lokta paper and feature white birds sitting on wires. Hand-bound with black linen thread. Journal is approximately four and three-quarters by six and a half inches.